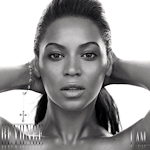 Critical Response Upon its release, I Am… Sasha Fierce received mixed to positive reviews from most music critics. At Metacritic, which assigns a normalized rating out of 100 to reviews from mainstream critics, the album received an average score of 62, based on 24 reviews, which indicates “generally favorable reviews”. Slant Magazine’s Sal Cinquemani commented that “The strength of I Am…Sasha Fierce [sic], then, is its individual songs a testament to Beyoncé as one of today’s most reliable singles artists.”, but also noted “the real disparity is her inability to reconcile the adult-contemporary schmaltz of I Am with the more modern, edgy sounds of Sasha Fierce.” Adam Mattera of The Observer gave it two out of five stars and noted both discs for lacking depth, stating “Disc 1 is too busy chasing radio formats to expose any genuine soul. The Sasha side cuts straight to business with the single-minded ‘Radio’…and a succession of independent woman anthems such as ‘Single Ladies’ and ‘Diva’, which will no doubt inspire drag queens the world over but leave most others bemused.” Pitchfork Media’s Ryan Dombal viewed it as a regression from her previous album B’Day and stated: “Nobody wins the Beyoncé vs. Sasha battle— often, the listener loses.” Allmusic writer Andy Kellman found its double-disc “gimmick” “flimsy” and favored its second disc’s “decent, if easily forgettable, upbeat pop.” He expressed that on the I Am… disc, “Beyoncé feels each line to the fullest extent, which almost rescues the set’s staidness.” In his consumer guide for MSN Music, critic Robert Christgau gave it a B rating and named it “dud of the month”, indicating “a bad record whose details rarely merit further thought”. Christgau viewed its “split-personality bit” as “deeply vapid” and stated “there are three good songs on this 11-track artifact”. Jonah Weiner of Blender gave it three out of five stars and stated “Beyoncé is still a beauty-shop feminist, quick with the smack-downs, and she still describes the rattling rush of love with preternatural poise”. Amy Linden of Vibe stated: “Ironically, it’s the more tame (and nameless) persona that’s the most intriguing, commanding and sexual. … Beyoncé sounds relaxed, confident and, if for no other reason than the fact that you can’t hear her trying, hits the mark”. Matos Michaelangelo of The A.V. Club gave the album a B− rating even though he said that “The two halves wouldn’t necessarily sound better shuffled together—both are pretty uneven.” Stacey Anderson of Spin commented that its first disc “meanders over. down-tempo cuts” and called … Sasha, “an intriguing but diluted direction”. The Village Voice’s Nana Ekua Brew-Hammond found the I Am… disc lacking cohesion, but stated “Sasha Fierce suffers no such identity crisis. Brassy, big-headed, confrontational, and witty, each incendiary track challenges you to leave your inhibitions at coat-check.” Christian Hoard of Rolling Stone noted that its slow songs are “full of bland self-affirmation and saggy lines”, but wrote that “the “Sasha” disc boasts Beyoncé’s most adventurous music yet”. Colin McGuire of PopMatters called the album “a little rough around the edges at times” and viewed its Sasha Fierce disc as “a far more compelling trip down dance-lane”. Daniel Brockman of The Phoenix gave the album three stars out of four and recommended to “skip directly to disc two”. Leah Greenblatt of Entertainment Weekly wrote that the album offers “two compelling sides” of Knowles and stated: “The collection might have been better served had she edited it down to one disc, rather than belabor what ultimately seems like a marketing gimmick. And while fans will surely speculate, there’s little in the lyrics that feels more revealing than previous emotional fire-starters.” However, Sasha Frere-Jones of The New Yorker gave a mixed review for the album, saying that, compared to her previous two albums, it is “something of a mess”, mostly because the alter ego “trips on the idea of redefinition”.